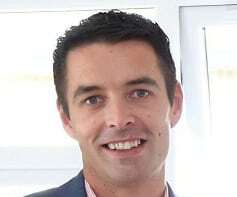 Gavin O’Hare-Connolly has been appointed chief operating officer of Runwood Homes. Promoted from his role as group director of operations, Gavin has extensive health care sector knowledge and experience. Having been employed by Runwood since August 2017, Gavin has achieved many awards throughout his career and has worked in various position in the NHS, independent healthcare sector and universities in a range of clinical, managerial and educational roles. Commenting on recent concerns raised over the level of care at Runwood Homes’ Chelmunds Court in Solihull (see Concerns raised over care quality at Runwood Homes’ service), Gavin said: “We continue to work in partnership with all involved at Chelmunds to see sustained improvements within the service.